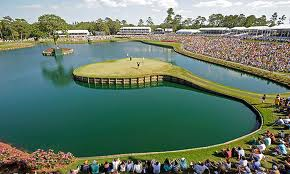 Episode 34 - Late June and July sees the European Tour in the ascendency with 3 great Rolex Series events in the build-up to the Open Championship. French, Irish and Scottish Open titles are up for grabs, with this week's Open de France kicking-off preceedings. Played at Le Golf National, which will host September's Ryder Cup, a quality field including Justin Thomas will congregate just outside of Paris, to play an inland-links style course, which will be firm and fiery. The PGA Tour visits Washington D.C. for the Congressional Loans National, played at TPC Potomac. A Tiger Woods Foundation organised event, this Invitational status tournament is floundering, and the field depth is poor with only Rickie Fowler, Marc Leishman and Tiger himself attending from the marquee category. Intro: 00:00; Post Travelers Championship + BMW Intl Open + Ryder Cup Chat: 02:22; Open de France Start: 12:43; Quicken Loans National Start: 45:02.